Hallmark Christmas Ornaments Set of 6 ONLY $24.64! Score a GREAT DEAL on the Hallmark Christmas Ornaments Set of 6 today for only $24.64 (was $54.19) from Amazon! You will get FREE Shipping if you are a Prime member! If you are not an Amazon Prime member you can grab a FREE 30-Day Trial HERE! Get the all the Details of this deal below! Designed by Gary Head, this set of 6 resin Christmas tree ornaments comes pre-packaged in a box for easy gift giving, preservation and storage. From celebrating interests and hobbies to commemorating life events, there’s a Hallmark ornament for everyone on your list. Each festive and collectible ornament is perfect for sharing with family and friends. Resin Christmas tree ornaments are lead-free and measure approx. 3″ W x 3.5″ H x 1.25″ D each. Add even more warmth and shimmer to your holiday when you decorate with this charming set of 6 Christmas tree ornaments. 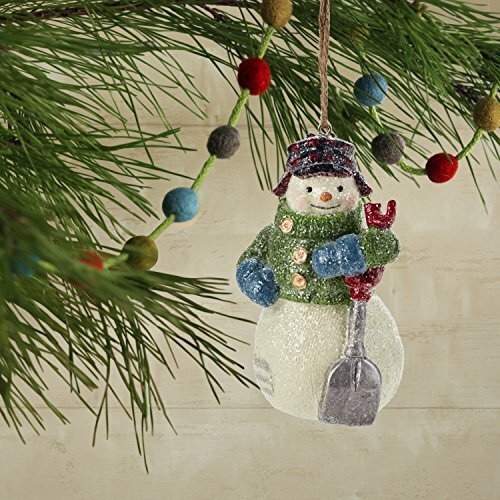 Garden-inspired designs by Hallmark Master Artist Gary Head include Santa Claus, a snowy birch reindeer, wheelbarrow with bottle brush Christmas tree attachment and 3 jolly snow people. Designed by Gary Head, this set of 6 resin Christmas tree ornaments comes pre-packaged in a box for easy gift giving, preservation and storage. Resin Christmas tree ornaments are lead-free and measure approx. 3″ W x 3.5″ H x 1.25″ D each. From celebrating interests and hobbies to commemorating life events, there’s a Hallmark ornament for everyone on your list. Each festive and collectible ornament is perfect for sharing with family and friends. Hallmark has been your family-owned creator of greeting cards, gifts, gift wrap and more for over 100 years. We take deep pride in helping individuals connect in just the right way. 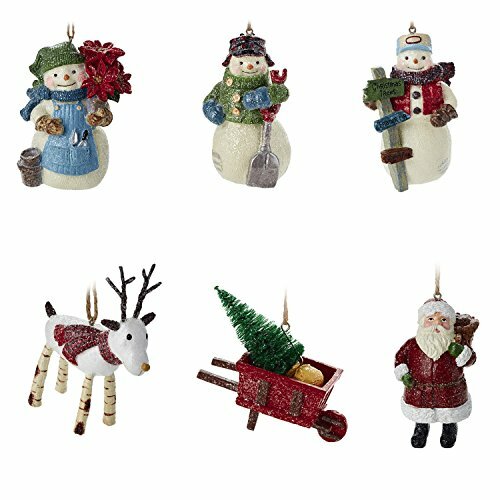 Don’t miss this deal at Amazon Today on the Hallmark Christmas Ornaments Set of 6, Gary Head Snowman, Santa and Reindeer Holiday Decorations for only $24.64! Previous Post: Poopsie Slime Surprise Unicorn – Dazzle Darling Or Whoopsie Doodle – $49.99 Shipped! Next Post: Precious Moments First Christmas 2018 Baby Ornament ONLY $18.19!